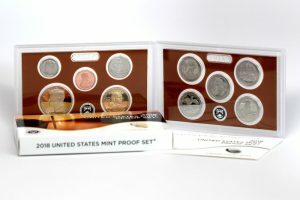 A CoinNews photo of a clad 2018 Proof Set. The set has reached sales of 218,176. The 2018-dated silver and clad proof sets tagged in as the two most popular products of the week, according to the latest United States Mint sales figures. There’s been a dry spell of new U.S. Mint releases since April 24, and that will continue until the next product launch later today. 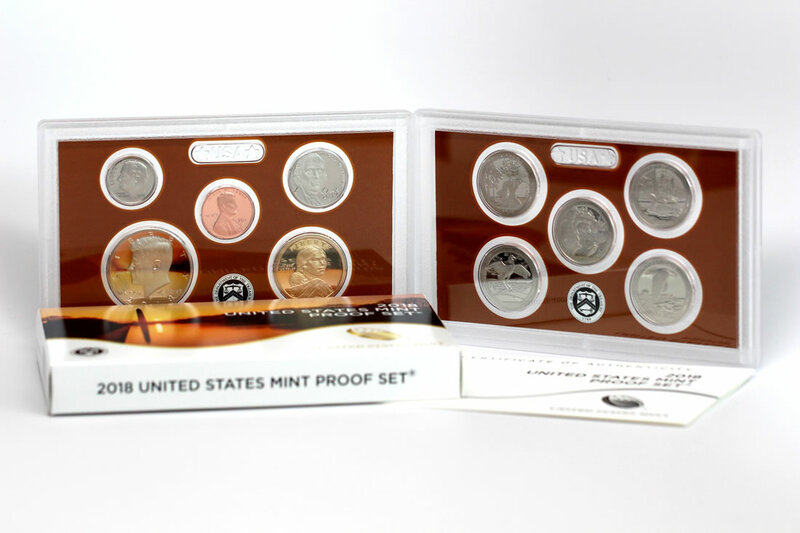 The Mint’s flagship products, like its proof sets and Silver Eagles, almost always lead sales during such times. The U.S. Mint published sales data for 152 numismatic products. Twenty-seven products outperformed their prior weekly gains against 52 previously. Five products increased by more than 1,000 units, matching the previous report. Nine products saw their sales totals reduced against 7 previously. All the reductions were modest. Below are tables showing the latest sales for U.S. Mint numismatic products. The sales period covers from April 30 to May 6. Products with an asterisk (*) are no longer available or had no reported sales.